If you think that you can treat a chatbot like a Google search you’re setting yourself up for some major disappointment. While the Artifical Intelligence (AI), Machine Learning (ML), and Natural Language Processing (NLP) that power chatbots have improved tremendously over the last few years, we have a long way to go before they can be treated similarly to a Google search. 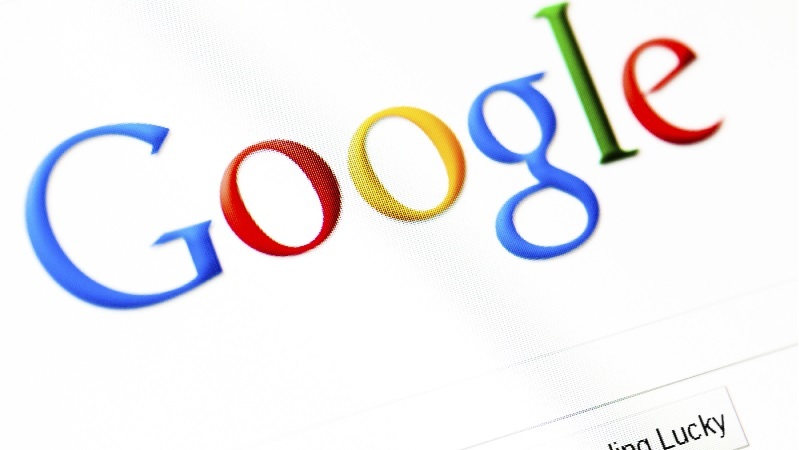 When you think of the nature of a Google search versus a chatbot conversation the differences between the two stand out almost immediately. A Google search serves you countless pages of results that you can parse through and ultimately choose the one that is best for your needs. On the contrary, a traditional chatbot provides one response, via a conversational message, that is hopefully going to be the answer you’re seeking. So what happens if a chatbot is trying to support a niche scenario with vast similarities between the questions and answers? Think of a chatbot designed to troubleshoot the Poynt Smart Payment Terminal that is capable of answering over twenty printer-related FAQs. Even a chatbot with the AI capabilities of the likes of IBM’s Watson would struggle in that scenario and likely respond incorrectly in many cases. The issue lies in the fact that a traditional chatbot gets one chance to be correct whereas a Google search seemingly gets unlimited shots at being correct. To help solve this inherent industry-wide chatbot problem, we gave the Relay Chatbots a small taste of Google. Why present one answer when you can offer several? The Relay Chatbots can be configured to display related answers based on the user’s question. For example, let’s say that a user responds to a chatbot by merely saying ‘receipts’. 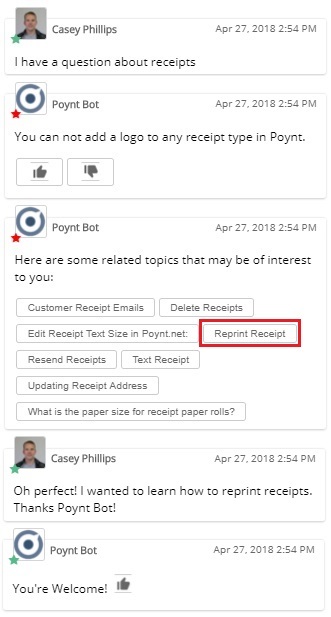 If that chatbot has several FAQs it can answer on receipts, then it makes sense to present all of the relevant receipt answers to the user in conversation form while still attempting to provide what the chatbot believes to be the correct or most relevant answer. In the screenshot below, you can see how this concept looks with the Relay Chatbots. Only answers that are deemed relevant to the user’s question will show as related topics, so there is no need to worry about clouding the user experience by providing alternative answers that are irrelevant. This functionality and concept will help account for users that provide overly vague responses to the chatbot while simultaneously helping to overcome the issue of handling several highly-related topics such as over twenty printer-related FAQs.